I was 10 years old when President John F. Kennedy called Americans' "growing softness and increasing lack of physical fitness a menace to our security." It was as if he had pointed his finger directly at me through our tv and called me an enemy of the state. I knew he didn't really mean it, so I stayed my course, refusing to put down my Nancy Drew books and go outside to play. It wasn't until 34 years later, when diagnosed with Parkinson's disease (PD), that I finally got up from my couch and adopted a healthier, more active lifestyle, thanks to my neurologist. She told me up front that if I wanted to forestall disability and maintain a good quality of life, daily exercise was imperative. It delivers better results than any medicine currently on the market, and has no negative side effects. "The proof is in the pudding." Here I am, 17 years later, preparing to participate in the first ever Parkinson Power Through Project: Montreal to Portland. 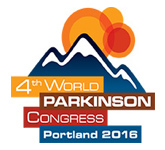 Individuals and teams, numbering in the thousands, each will accumulate 100 hours of physical activity, and cover 3,000 virtual miles from Montreal, Canada, home of the World Parkinson Coalition (WPC) 2013, to Portland, Oregon, home of the WPC2016. 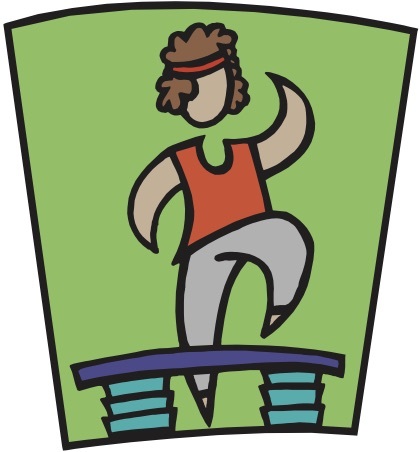 Never in my wildest pre-Parkinson's dreams would I have imagined participating in such a fitness marathon. Click here for more details and to learn how you can get involved. Had I seen a psychiatrist instead of a neurologist, I most likely would still be lying on a couch discussing why I don't exercise. The changes I've made since being diagnosed with PD have altered how I see myself and how others see me. I have found physical activities that I actually enjoy and am not too bad at, like swimming. Who knew? Some describe my transformation from couch potato to window shopper to gym member as nothing short of a miracle, but there is nothing miraculous about it. It is about hard work, sweat, perseverance, and a belief in our ability to do whatever it takes to remain as healthy and functional as possible. I exercise for a variety of reasons, not the least of which is how it makes me feel, both physically and psychologically. The success I have experienced has given me a sense of accomplishment, boosted my self-confidence and sense of well-being, and improved my mood and happiness. Researchers who strongly believe that exercise may help keep PD from progressing, and prevent some of the secondary long-term complications, fuel my optimism about living to see the cure. Had I known how good exercise makes me feel, I would not have spent the first 45 years of my life avoiding it.